Technology is taking hold of every industry under the sun, and it isn’t letting go. Technological advancements are enabling companies to gain better access to information, operational efficiencies, sustainable productivity and cost savings. The mining and manufacturing arena is no different – with apps now being developed to improve safety, enhance workers experience with the equipment they use on a daily basis, as well as providing an on-the-go information source for salesman around the world. Apps for smartphones and tablets have already taken over the consumer world, but the app ecosystem is growing fast, with apps dedicated to commercial and industrial users starting to revolutionise business. A report by Strategy Analytics predicted that spending on business-oriented apps will more than double to $53bn by the end of 2017. 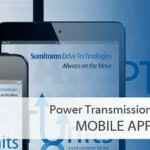 In the mining industry, apps have already begun to improve productivity, safety and communication in operations large and small. With mining projects operating in such rugged and remote conditions, apps provide a perfectly suited portable, off-the-shelf form of support for mine workers and the industry as a whole. Taking hold of this budding trend is Atlas Copco, bringing the Pit Viper blasthole drill series app to Apple tablets and mobile devices. The new app focuses on Atlas Copco’s Pit Viper series, allowing customers and salesman around the world can use it on the go, with or without internet access. Users can interact with each drill model to see a variety of features and benefits related to safety, productivity, serviceability and fuel consumption. 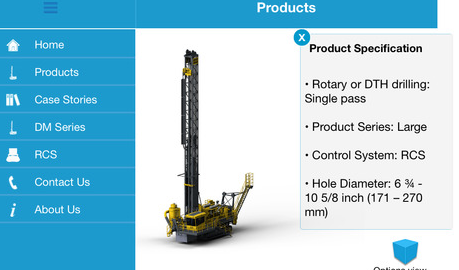 The design is simple to use, giving users the ability to interact with the Pit Viper series, read up on information regarding the DM blasthole series and Rig Control System (RCS), and stay up-to-date with the latest that Atlas Copco has to offer to the blasthole drilling market. From product specifications to interactive 3D models, case stories and links to external sites for more information, the app provides workers and salesman with a one-stop-shop of information in the palm of their hands. As apps continue to change the way the mining industry functions, getting on board early has the potential to deliver operational efficiencies, sustainable productivity and cost savings to your companies. For more information on Atlas Copco’s new Blasthole Drills Mobile App for the Pit Viper Series, click here. Or download the app now: Pit Viper Mobile App.